I’ve been asked to speak at two summer schools this year. 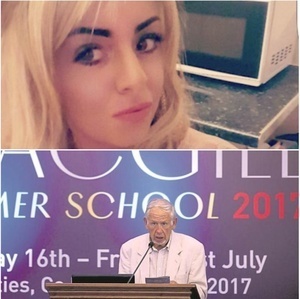 One with the Humanist and Free Thinkers Society and one with a school that sprung up as a direct result of the controversy surrounding what is arguably Ireland’s most famous summer school – the MacGill – the Danielle Carroll Summer School (so named in memory of a young mother who died in homelessness). Where MacGill was once famous it is now infamous. You see apparently it can be quite hard to find female participants with the right ‘aptitude’ to speak on political topics, or so declared the long-time organiser of the MacGill school Joe Mulholland. Admittedly Mr Mulhollan apologised for the aptitude comment but he then proceeded to find other excuses reasons as to why the panels would once again be overwhelmingly male, pale and stale. I’ve been to MacGill a number of times over the years and one thing that stands out when you attend the sessions is the average age in the hall. It tends to be on the high side. The panels, for the most part, tend to be dominated by establishment voices, predominately male. Women are there, both in the audience and on the panels but they are very much in the minority. Yet here is a political event, set in a beautiful part of the world which should be an attractive option for the many young, energised people I meet regularly in politics – many of them female. But it’s not. Mostly they are not invited but when they are they are very much in the minority. But while we (rightfully) spend a lot of time in this country having conversations about gender, we don’t spend enough time addressing the issue of class. If being a woman trying to make it in Irish public life is an uphill struggle, being a working-class woman trying to make it is doubly so. I was raised in a marginalised community in Dublin’s South Inner City. My upbringing surrounded me with some of the strongest and most resourceful women you could hope to meet; women who had faced every conceivable adversity and yet continued to fight for their families, their homes and their communities. As a community worker I worked on the front line with these women in facing down the establishment who were used to riding roughshod over such communities. These women are passionate, principled and empathetic but suggest to them that they would be a great public representative and most will look at you like you’ve 10 heads because it never enters their mind. Because for them, like it was for me for so many years; politics is something for someone else. It’s for the ‘nice women’ with the fancy clothes and the posh voices and, I’m not going to lie to them; for the most part, that really has been the case. And where there have been, and are, working class women involved sometimes it feels like they have been required to ham up their background and create almost a novelty factor. Or deal with the patronising; ‘oh isn’t she marvellous to have pulled herself up by her bootstraps now if only the rest of them would do that…’ guff that makes so many assumptions about how you got where you are. There are many initiatives underway now to try and get women involved in politics; lots of training sessions and seminars taking place. While I welcome the effort, I generally feel that the effort is not as comprehensive as it could be. I’ve been invited to participate in such events; they’ve been in venues like the Mansion House, City Hall, Twitter Headquarters and the Morrison Hotel. Lovely venues without doubt but the many fine women I would point to as potential fantastic public reps from the area I grew up in would never dream of rocking up to such an event in a venue like that. Again it compounds the sense of ‘ah that’s not for me.’ I’ve had these conversations with some women I’ve tried to encourage onto the political field. There’s an initial confidence thing that has to be surmounted and that is simply not going to happen by making these events intimidating by virtue of venue, crowd, or indeed cost. Meet women where they’re at is what I say. Take these events into community centres and parish halls around the country – specifically focus on marginalised communities (and I include new communities in that). Make it obvious there is a place for all voices – posh or not – on the Irish political stage, and let’s get a politics that is representative and real. Maybe then we’ll also get summer schools with panel discussions and RTÉ panels that are more than male, pale and stale with women who’ll sound or dress slightly different than the average South Dublin stereotypical politician. 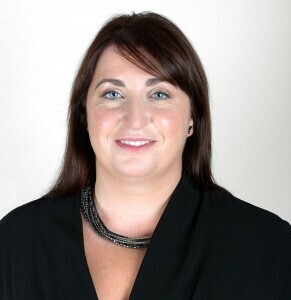 Anne Marie McNally is Social Democrats Political Director and General Election candidate for Dublin Mid-West. Her column appears here every Monday. Posted in Misc and tagged Anne-Marie McNally at 11:36 am on July 9, 2018 by Anne Marie McNally. good piece Anno. reminds me of me own Ma and her own political activity of just getting on with things rather than lobbying and going to meetings. always wondered that if she hadnt six kids to look after what her life would have been like…. as a journalist who covers Ms mcnallys prospective constituency. she never sends out any press releases and seems only interested in the macro as opposed to the micro. to get elected one has to be seen on the ground dealing with local issues. Because we don’t have enough Lowrys and Healy-Raes to go around. No point in having a great platform with all the bells and whistles, and then not being in a position to implement any of it because you haven’t gotten elected. Politics is a zero-sum game in that respect. I agree – It was a comment more in despair than condemnation. Anne-Marie celebrates anti-resilience and by doing so vindicates taking ones life because one doesn’t get the exact free house that one stamped their feet for. MacGill summer school is not gender diverse enough ! A summerschool with gender diverse panels ! Set up a summer school exclusively with women only panels ! There is an opportunity to do something about that which you complain about, to be all inclusive, but instead you go and do exactly the same thing you’ve been complaining about. I would have loved to say, “well done”, but when all you are doing is the same thing as MacGill, I just cannot, it’s just as bad as the other, in fact worse… because at least the MacGill one had a 25% female representation (15 of 60 panelists). Years and years of all-male or male dominated panels at this sort of thing – shrugs and mehs and rolls of the eyes at the silly wimminz. One all-female set of panels – HOW COULD YOU BE SO UNDIVERSE WIMMINZ???!!!??? Why would you call them silly, shrug and say ‘meh’ Nigel? When this summer school is clearly, and stated to be, an answer to the issues of the MacGill school, one would expect it to correct the problems with the MacGill school, not to go out and repeat them with even a harder line of excluding one gender altogether. Don’t you be silly now. If the problem with the MacGill thing was low numbers of women, this addresses it admirably. The problem with the MacGill thing was not low numbers of men. So not a problem to be addressed. I think you are being wilfully obtuse; if MacGill was problematic because the panels were dominated by one gender (I would agree that this is problematic), I don’t see how a summer school that actually actively excludes one gender is any less problematic. I don’t necessarily think this is the best remedy to the McGill issue. If MacGill was problematic because it largely excludes one gender, then a Summer School exclusively for that gender seems like a proportional response. Whining that there are”t any men in it seems incredibly, not to mention wilfully, entitled to me, as if to say women’s voices can’t be valid without some men there, too. So between the male-dominated MacGill and the demands for male inclusion here, it’s all about making sure there are always, always men’s voices, which actually underlines the need for something like this. MacGill having panels comprised of only of one gender is problematic because it excludes the views of half of the population; you seem to be suggesting that this principle is fine, they just happened to pick the wrong gender to exclude. I’m saying that the male point of view has not in the past – quite the contrary – and is not now underrepresented in any academic, intellectual, journalistic or political area in this country and one summer school exclusively for women isn’t going to put a dent in it. It is, in fact, a bit rich to be playing gotcha with a summer school devoted to the gender that has been historically, and presently, excluded. This isn’t fine, but the situation isn’t fine, and this summer school is not the problem. Nigel is promoting a double standard, as is Anne Marie McNally, and her privileged ideological ilk. Exactly Clamps women shouldn’t be allowed to speak without some men present otherwise who will give them the authority and credibility that can only come from being a man? But it’s true, isn’t it. How many male-only panels and summer schools and conferences have come and gone and now suddenly we have some female-only panels and they are THE WORST, as if this supposed double standard is worse than the decades of exclusion and silencing it’s a response to. The existence of the all-female panels isn’t what people are getting het about. It’s how they’re being proposed as a solution to the problem when they just duplicate and mirror the problem. Why is an all male panel a problem? Because it doesn’t represent a balanced and fair view of Irish society, being as it doesn’t represent female voices. Will an all female panel rectify that? No, because it doesn’t represent a balanced and fair view of Irish society, being as it doesn’t represent male voices. You can’t treat social phenomena as vectors, equal but opposite in sign isn’t going to take you back to the origin. Every time, every time I say to myself “Today, Termagant, you won’t engage with Nigel, he’s just a wagon”, and every time I refuse to listen to myself. Nigel, let me spell it out for you. Soc Dems sell themselves as “progressive”. So, they should be using practices that are not from what is seen as old and of so called “patriarchal” heritage. Yet here they are, attempting to answer a problem of old practices by implementing those same old practices. And in doing so, with an even harder line (going fully exclusive, 100% one gender) than is currently being done by MacGill (25% female). If the Soc Dems were truly motivated by a “progressive” approach, they would be inclusive, but they have chosen not to do this. And in going fully exclusive, they are now showing the MacGill summer school to be MORE inclusive than this new summer school. It really is that simple. There is nothing progressive about this, nada, zilch…. there is nothing in it that signifies a move forward, instead it is a further divisive approach, and a step back in approach. Having an all-female summer school is, in fact, the opposite of old and patriarchal practices, so i guess we’re in agreement there. Having all women in an area dominated by men is inclusive, albeit inclusive of women. You don’t need to be inclusive of men, men are already included in that area. Putting a few token men in to satisfy the demands of people like you, who would never have made such demands of, eg, the MacGill summer school, would be useless. Men don’t really have problems getting on panels in summer schools. Women do. This redresses that imbalance in a tiny way. No, it is not the opposite practice. It is in fact the same practice, just with a different gender. You are being willfully ignorant of that fact, and disingenuous, as others have similarly pointed out. Good luck with that. It’s the gender that has been historically and often presently excluded. It’s only exactly the same if you completely ignore this as a factor. In that context, it’s not the same practice at all. No, the practice is the practice, the practice is of being exclusionary of a gender. That is plain and simple. This is not a “postmodernist” debate where meanings of words can be changed for a contextual argument to suit your position, which appears to be your tact here, thank you. This gathering needs good representation not just from female kind, but also disabled community [13% of population], under 25’s [who are literally country’s future], lgbt, low income community, naturalised immigrant community. Not to end there, of course, but review and re-do when needed. Then we’re truly egalitarian. 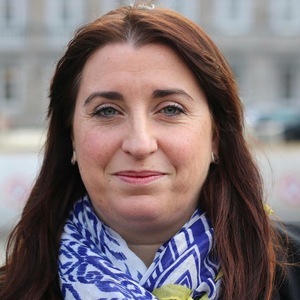 Catherine Murphy for Taoiseach. But Catherine Murphy isn’t a young, disabled, lgbt, naturalised immigrant woman. 13% disabled! hah! nice to know that lazy has a new meaning and disabled has been broadened to encompass all sorts of ne’er do wells. Reality: alcoholic = disabled, receive a medical card and progress to GO. Cancer? back to work and pay your bills. Take your whining elsewhere, taxpayers are full up listening. So you’re saying all disabled people are actually alcoholics, and that cancer should be classed as a disability? This 13% is true – according to census 2016; Although older people make up a big percentage of these. Saying that, the under 20-age group has 6.7%. Do you have any of the following long-lasting conditions or difficulties? If this is the case, I would imagine that at least some of the older deputies of the Dáil might qualify as disabled (there must be a few with hearing aids or arthritis or similar). They don’t count or even come into consideration… old persons. Remember, they are just old people to be discarded and shunned as Anne Marie has form in being vocally ageist on here. In current state of medicine and pharma business acumen, rheumatoid arthritis inevitably, albeit slowly, progresses to loss of mobility and chronic pain. Some get strokes too. Try this at home: run your hands through nettles until burning starts, get someone to put boxing gloves on you, type/send email or change a light bulb then. Rob, mate, pal, bubba – not all disabilities are genetic. Thank you for coming to my Ted Talk. Does anyone know what the hell that was he just said? hesitate or be unwilling to accept an idea or undertaking. No way is 13% of our population disabled. Back in the recession when the Welfare cracked down on fraud there was a massive spike in people claiming disability allowance because it means your benefits are untouchable once a doctor signs you off. Sure remember yer man Joe Coleman who was on disability but well able to organise thousands of people to head to Knock to stare at the sun. Never did a day’s work in his life but managed to mess up the eyesight of hundreds of people. I have a pal who is ‘disabled’ he smokes grass and does nixers. he is well able to work.the system is a joke. I don’t get this men vs women thing. All the women in my life are equally as capable as men, and have not been discouraged in any from, from parents, to coaches, to teachers. To constantly harp on about it is doing a dis-service. No you don’t understand. Children, in their formative years, spend 95% of their time with men – and this implants the patriarchal system deep into their psyche. Between stay-at-home fathers, the 97% male-dominated crèche systems, and the 87% male dominated primary schools, the only time that most children actually see a woman is at weekends when their mammy is home from work (although she spends most of the weekend watching football). It is no wonder that the children are raised to perpetuate the male-dominated world that they see. Cian, that’s only half the picture, with women as professional wage-earners filling most positions of social, financial and political authority it’s no wonder that men are regarded as filling unpaid domestic roles devoted to raising children and housekeeping while women are encouraged to follow female role-models. Unfortunately men who enter professional fields are encouraged by Intersectional Meninazis to blame their shortcomings on invented forms of victimhood such as the recent metoo phenomena, doing men who keep quiet about it a disservice. There is an element of condescension and unpolitical correctness to that statement but more importantly, there is a strong element of truth. People define themselves by (amongst other things) how they deal and react to the various challenges life throws at them. I am sick and tired of the “victim narrative” being used as an excuse for not dealing with things head-on, as best a person can. In the article, paragraphs are dedicated to explaining that gender make up of the various panels. However very little is said regarding the topics that up for discussion or the author’s views on any of those topics, thus there is no public debate on them. How can this be a good thing? Every single public representative in the Dail be it Lowry or the Healy Rae’s was elected. At times democracy can be flawed but is the best system we currently have. If a person regardless of the gender has good ideas and can articulate them well to the public they have a good chance of being elected. When a person starts constantly playing their identity/gender/socio-economic card and very little ideas and terms of policies people get very sick of them very fast. Life isn’t fair, very often people need to pull themselves up by their bootstraps and pick themselves up when life knocks them down. People have been telling women to shut up for a long time now and this is good example of the long-winded self-important patronising modern form. There’s nothing wrong with telling a person to shut up if they are talking rubbish. They are free to ignore that request. The free world in action! It’s truly amazing to see someone inventing even more forms of victimhood as they go along. Women have been able to hold public office for close to 100 years in this country, but apparently the problem all along has been the initiatives to get them to enter politics were in the ‘wrong venues’. What sort of crap is that? Thatcher would have actually laughed in your face. She was clearly the “wrong type” of woman because she was not a regressive Leftist with a mind infested with pseudo-academic theories of victimhood like ‘intersectionality’. – is AM really suggesting that only posh south Dublin types enter politics? I would have thought that, almost by definition, with the exception of one or two constituencies in Dublin, being upper-middle class would be a hindrance more than anything in politics. Joan Burton, who has faced all sorts of vilification from political opponents, particularly in recent years, but I don’t remember anyone ever bringing her working class background into it. I for one wont be voting SocDem again, not with this direction it is going in. Is there a link between the owner of broadsheet and red flag? fair question. My comments are often censored, wonder will this post make it? BS often supports a smaller party. On that, I say fair dues. 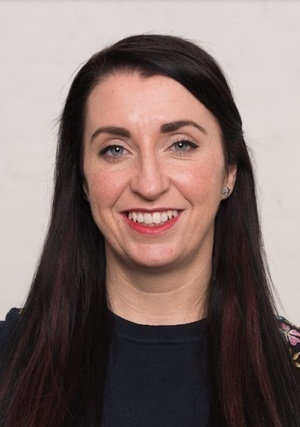 It is unfortunate that what was looking to be a party of genuine progressive change is devolving into a social justice victim party rather than anything genuinely progressive. I had high hopes for the SDs, but was disappointed at the cattiness that followed Stephen Donnelly’s departure. I like Catherine and Roisin, but Anne Marie is out of her depth IMO. didn’t joan burton grow up in drimnagh and atttend UCD before doing postgrad training as an accountant? and guessing that would have been in the mid- to late-60s. not exactly a classic working class background. Joan Burton grew up in Inchicore, where her father worked in an ironworks. It’s true that the went to UCD… on a scholarship. Plus she was the only girl in her class. She later did aid work in Africa. JB overcame a lot of things in her life to get to where she is today; she just doesn’t harp on about class and why she can’t do things, she just does them. That’s ok BB, I don’t want you to think that I having a go – I was just pointing out that she very much is from a working class background. In fairness, many people would not know this – you would not really be able to tell from her accent, and she tends not to get into debates about one social class versus another social class as many of her (solidly middle-class) political opponents sometimes do. Anne Marie needs all the excuses she can gather, she will require them when the electorate of their own free will reject her at the ballot box again. The McGill summer school was good sometimes, but gradually it went away from celebrating the novels and life of Patrick MacGill. In the past decade or more it has provided a platform for the usual politicos and bright South Dublin people to enjoy media coverage while enjoying their holidays in Donegal. The organisers, including I hope local people, need to sit down during the cool of winter and rethink the original hopes behind the setting up of the Glenties summer school. Any festival down the country should aim to draw in people from down the country. It should be of the people, by the people and for the people. It will be interesting to see if/how the Irish Times covers this event tomorrow. I expect the Motilium was out already in Tara Street: Given Kitty’s broadside against the Jennifer O’Connell Meghan Markle love-in crowd on Saturday already, so I really don’t expect much/any coverage at all.